like it’s a bad thing! 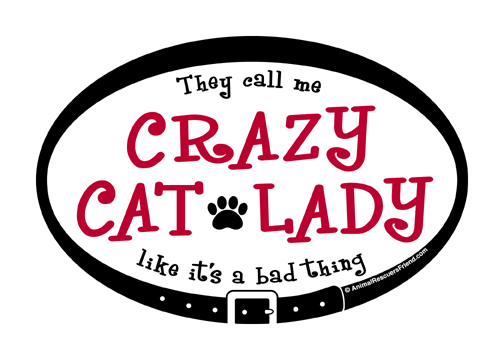 Calling all Crazy Cat Ladies! You know who you are!!! Always room for one more – Meow! 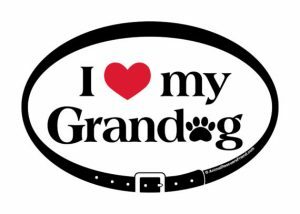 These creations are from my own heart and paws. Original unique designs surrounded by exclusive signature pet collar border. 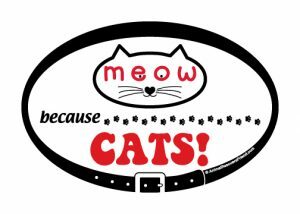 High quality 30 mil white flexible magnet, screen printed with black & red UV inks for extended outdoor and indoor use. Some other magnets are printed on paper or vinyl and then adhered to magnet material, which can result in the surface material pulling away from the edges over time. These are NOT. 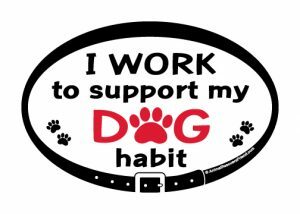 These are screen printed directly on to the magnet, resulting in a durable, long lasting product you can enjoy for years to come. 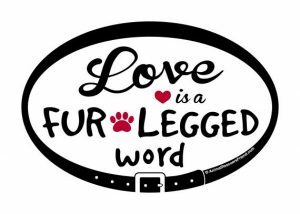 Perfect on cars, doors, lockers, cases – any magnetic surface where you want to display your expression of love & dedication to animals & rescue!